* This simulation looks at what happens when the underlying data generating process is not normal (key assumption with Tobit). * This post is a follow up to the previous post on Bottom Coding and Tobit on May 21st. label var man_num_sibs "The number of sibblings that the man has"
label var woman_num_sibs "The number of sibblings that the spouse has"
label var income "Family income, 10k/year"
label var Y1 "The true underlying amount of children some men would have"
* Retrict the number of children to the positive range. 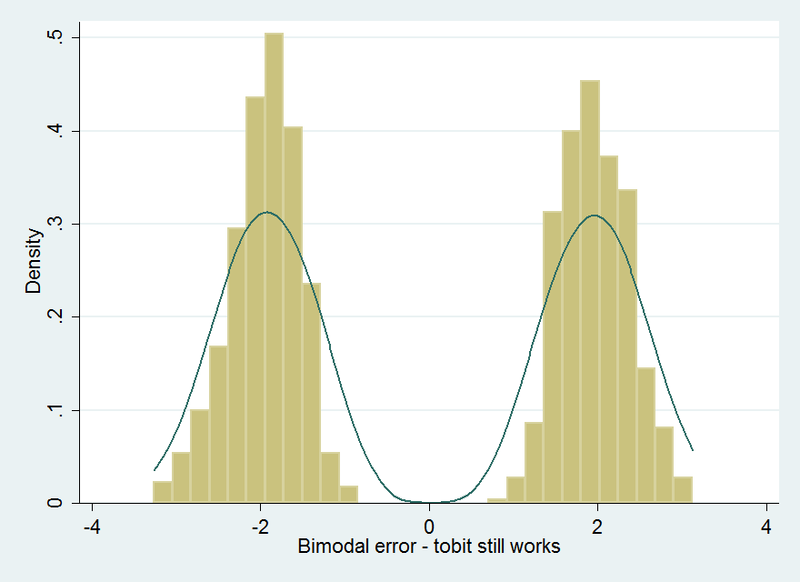 label var Y2 "The true underlying amount of children some men would have"
label var Y3 "The true underlying amount of children some men would have"
* Despite a very non-normal error the tobit estimator still works pretty good. * on using simulations to understand bias. 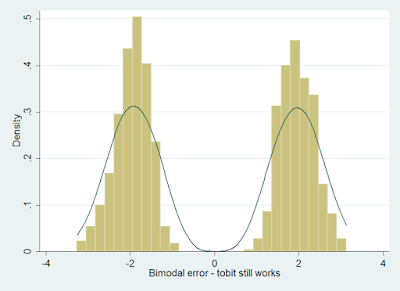 label var e4 "Bimodal error - tobit still works"